Former French president Francois Hollande has launched a scathing attack on his protégé and successor Emmanuel Macron for his handling of the Yellow Vests movement. 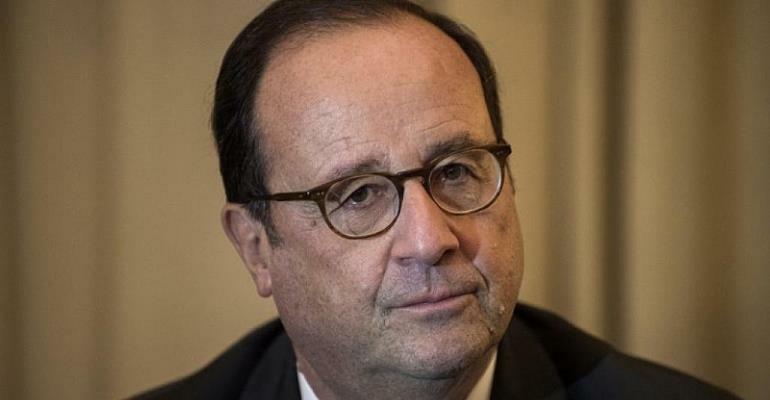 His diatribe, in an interview with Le Parisien, comes as Hollande is about to release a new book. His revamped book, The Lessons of Power, to be released on Wednesday, has a full chapter dedicated to the grassroots movement that demands economic justice. "If a solution had been found sooner, this movement would never have mushroomed into what it is now," Hollande told the daily Le Parisien, a day after Yellow Vests protesters staged a 20th round of demonstrations on Saturday. "We would never have seen the kind of excesses witnessed Saturday after Saturday," he said. The Socialist ex-president took particular aim at President Emmanuel Macron's decision to bring in the military to police the gilets jaunes after shops and businesses were looted and wrecked on the Champs Elysées avenue. "During my five-year term, I also had to deal with groups of hooligans that disrupted demonstrations. It is not an easy task, but we can do it using our existing laws," he stated, adding that he would have cancelled demonstrations in high-profile places from the start. The comments are a preview of what readers can expect to find in the new edition of The Lessons of Power. First released last April, the new version incorporates three new chapters, including on how to deal with the Yellow Vests. Asked how he would have dealt with such a crisis during his tenure, Hollande said he had faced similar protests in 2013 from so-called Red Caps – critics from Brittany angry at his move to introduce an “ecotax” on lorries using French roads – and fared far better than Macron. "I took the decision to cancel the tax. Sometimes, backing down is better than being stubborn," he said, criticising Macron's delay in scrapping the fuel tax that sparked the Yellow Vest protests. The former leader's criticism of his erstwhile protégé did not stop there. He warned that the rise of social inequality, demonstrated by the gilet jaunes, could provide fertile ground for the extreme right. "One day they will come to power. In 2022 or later... because they will say that they are the only ones who have not been tested." Hollande's Socialist party is still in tatters and he won notoriety for becoming the first in modern history not to run for re-election due to his record unpopularity. The irony of an unpopular leader attacking another one, was lost on no one. "When I see François Hollande raising alarm bells, and saying the National Rally will come to power, I feel like asking him, whose fault is that?" former minister Valerie Pecresse told BFM TV and RMC radio. "When you set the country alight, you cannot start pretending to put out the fire," she said.